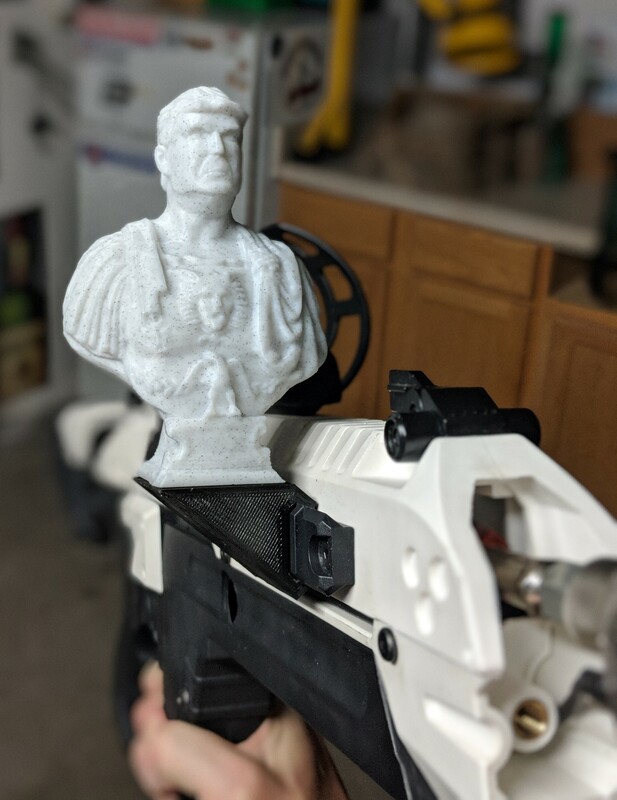 This part is printed in 2 separate parts, the Donald Trump bust borrowed from ZeroBeatPro, and the rail mounting part designed by me. For the rail, you have two different files to choose from. The first option is a custom size used by this Airsoft gun which is what I used as a case for my flamethrower, I believe the same dimensions work The Boring Company not a Flamethrower. The other included rail uses a standard Picatinny size. 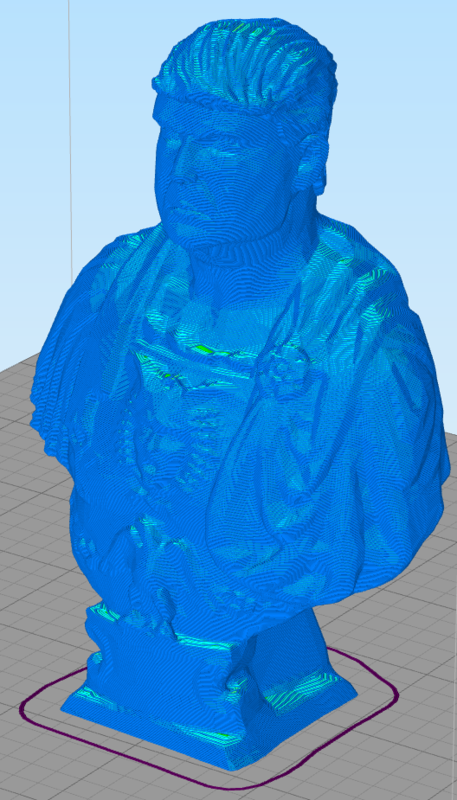 I really enjoyed this project because it brought me out of my comfort zone of parametric modeling and made me use Blender to modify the mesh of Trump's head. 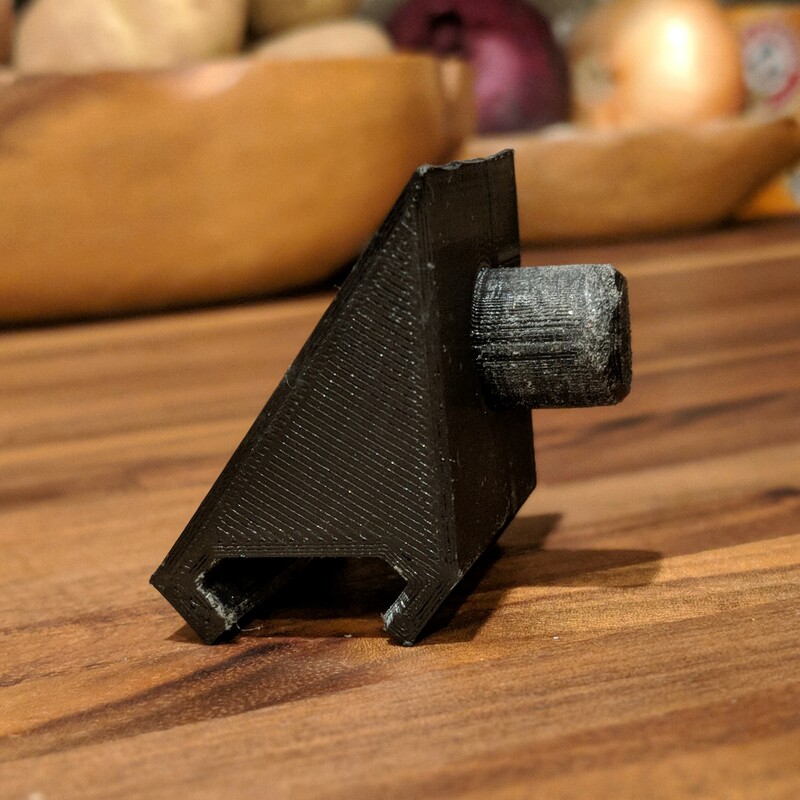 The rail I printed on its side with supports on the cylinder. 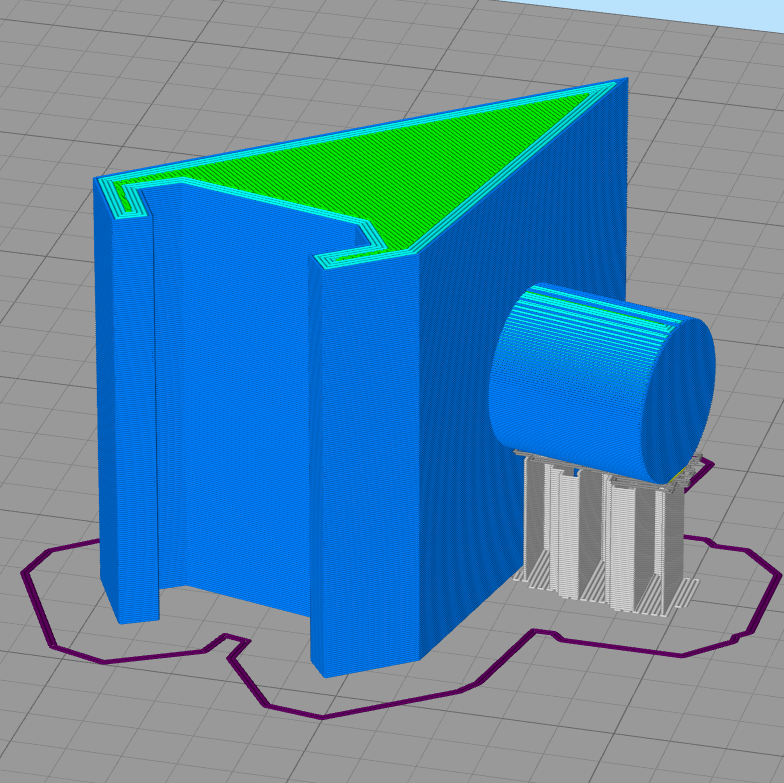 I'd say printing in this orientation is pretty important because you want the layers going vertical so the smaller pieces of the rail attachment are strong as possible because that's definitely the weak point. 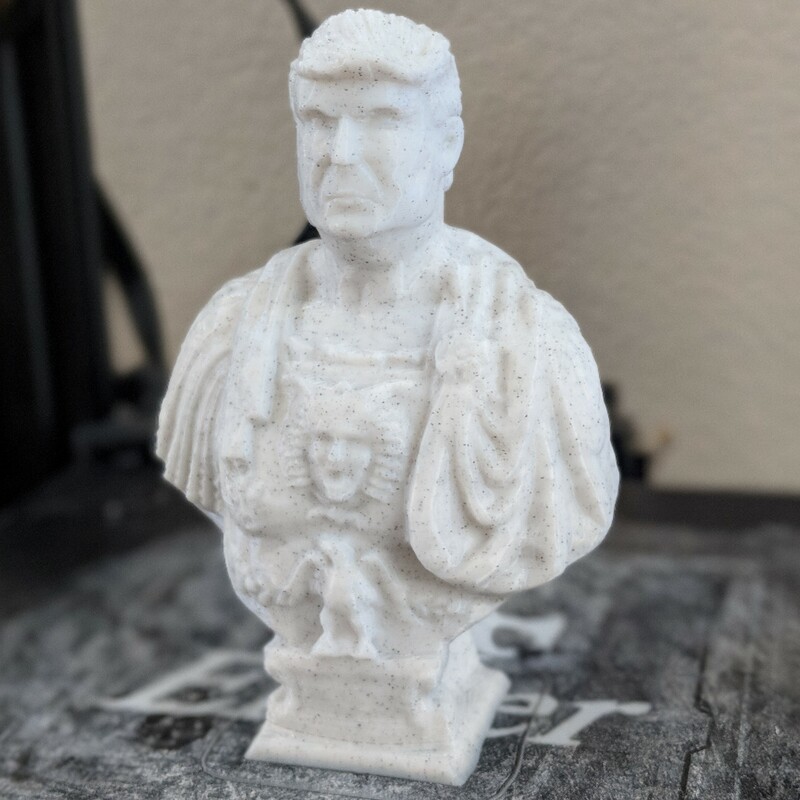 The Trump bust prints perfect without any supports, I used 15% infill but if you think this is going to get knocked around I would bump that number up a smidge.